If you think that Google even after its launch or Google Caffeine and Google Panda algorithms still doesn’t provide the information and links you are looking for, then you might want to give a try to a new search engine, Blekko. Blekko makes its case for relevancy in the competition of search engines by focusing on customized content, transparency in results, and being on the consumer’s side with its anti-spam philosophy and practice. 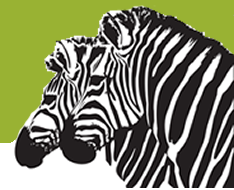 SERP Zebra points out three key features of Blekko: 1) Blekko is for custom results: Blekko strongly promotes its search trademark, the use of slashtags. Slashtag is a symbol slash followed by a key word that filters the results within the main search terms. For instance one can type in Texas /politics and thereby filter the search term Texas only with websites that focus on politics. The upside (or downside) of Blekko is that many slashtags need to be created individually since they are often not pre-indexed in the Blekko system. This requires registration to the site. Slashtags can be classified for a personal use only, and effectively Blekko can be used as a powerful bookmarking tool. 2) Blekko is for SEO transparency: Blekko points out that it keeps data behind search results open for public. Blekko displays an impressive (or exhausting) amount of data for each website it crawls. The data reporting looks very much like any comprehensive SEO report or data provided by a web host. It includes data of the number of inbound links, value of links, links from specific US states, links from different countries and so on. 3) Blekko is against poor content sites: Blekko is against websites which have spam-like content, and instead of showing these type of results lower in search results (Google’s style), it aims not to show websites with poor or unoriginal content at all. Have you used Blekko? Have you registered in Blekko and created your own Slashtags? 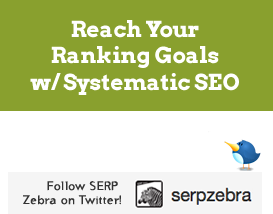 Let SERP Zebra know what you think.